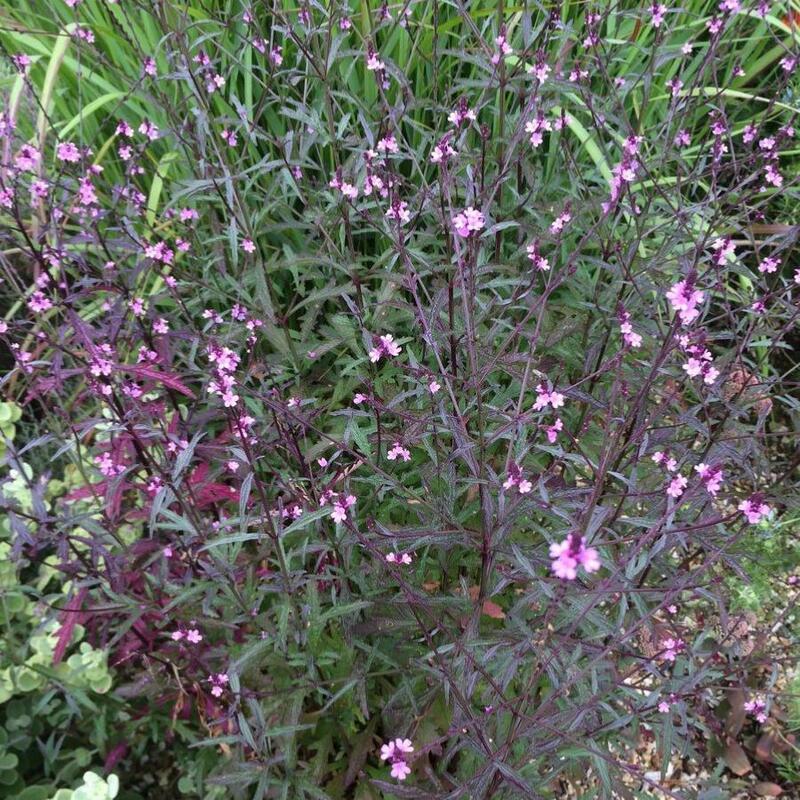 Verbena 'Bampton' is an unusual variety that was discovered in the public garden in Bampton, Devon and has been identified as a variant of V.officinalis var. grandiflora which is more common in parts of southern Europe. 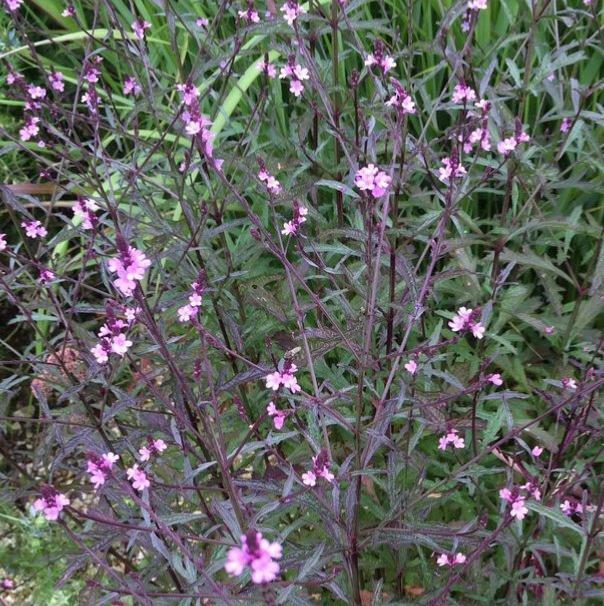 Related to our native Common Vervain, it is totally hardy and emerges in spring from a tight crown with its dark purple shoots clothed with glossy, saw toothed purple leaves which have slight metallic lustre. 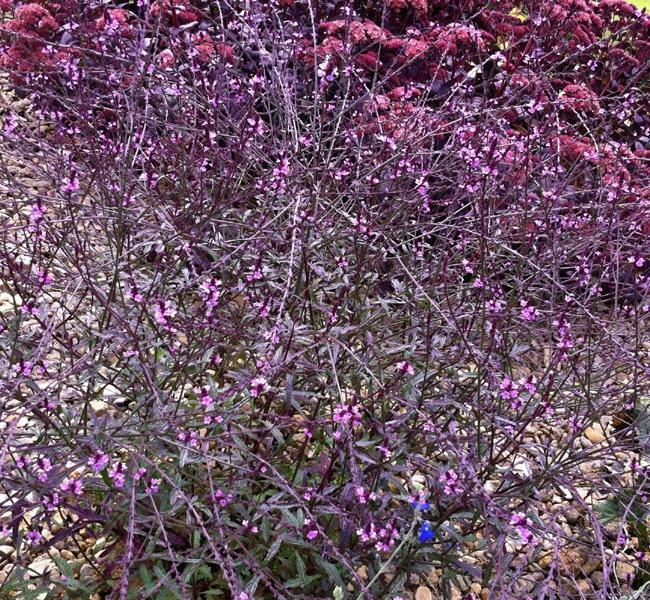 The dark purple stems become wiry and much branched eventually making a twiggy bush about 60cm high covered in tiny pink flowers over a very long period in summer and autumn. Grow in a sunny position on any good garden soil. 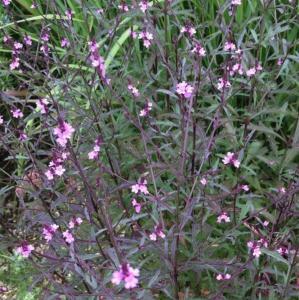 Like all Verbena, this variety is good for pollinators.